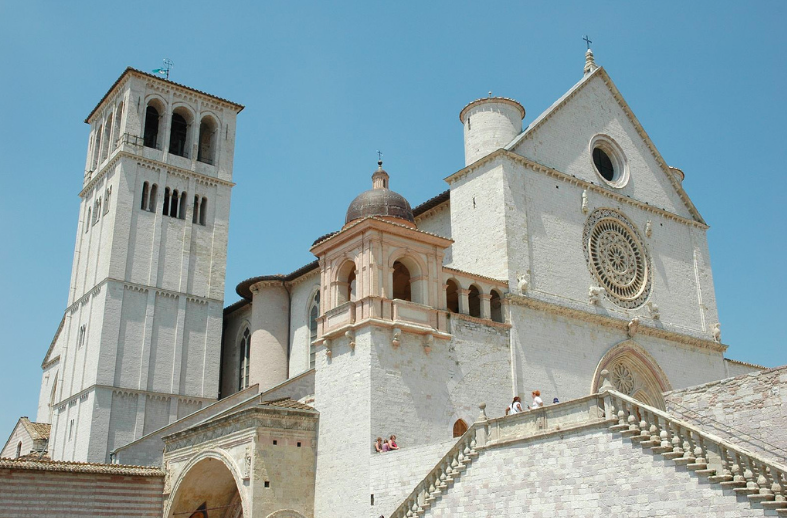 The Basilica of San Francesco in Assisi, is the place which since 1230 preserves and houses the mortal remains of the seraphic saint. Ordered by Pope Gregory IX which specialis ecclesia, was honored by the Pope himself with the title of Mater et Caput Order of Minors  and simultaneously assigned in perpetuity to the same friars. In the complex history that has marked the evolution of the Order, the church (and the adjacent Sacred Convent) was always guarded by the “brothers of the community,” the group that went later to form the Order of Friars Minor Conventual. In 1754 Benedict XIV elevated it to the dignity of the Patriarchal Basilica (today “Papal”) and Papal Chapel. In 2000, along with other Franciscan sites of the district, the basilica was included in the list of UNESCO World Heritage Site.